We are committed to providing high quality, convenient dental care. It is our pleasure to provide you with excellent patient care and keep you comfortable. Step inside our office today! your teeth with clear braces. and talk with confidence again. Trust your smile to our experienced dentists. We’ve been serving the communities of Stratford, Bridgeport, Trumbull, Milford, Shelton, Fairfield, and Orange for more than three decades. Very friendly staff from the front desk to the hygiensts. Dr. kurzner is awesome! Friendly, takes her time to explain everything. Very caring! 11/2-Just went back here for my ZOOM whitening. Shannon was awesome! Explained everything thoroughly, was super personable and sweet and made sure I was comfortable every minute! I also love the results!! I have using light house dental for a couple of years now and always have a great experience! Dr. Samuel and Julie have excellent chairside manner are very personable and friendly. The office is very clean and the front desk staff are very friendly! I would recommend light house to anyone ! Maggie is a very special and wonderfully nice person at this facility. My whole experience from Dr. Samuels providing me with perfect dentures in 2015 which are to this day a blessing in my life. I love Lighthouse Dental! Maggie and Leona are fabulous hygienists. Dr. Samuals and his associates are outstanding dentists!!! My Dentist, Dr. Joy, is the best, and my dental hygienist, Maggie, is great. Together they have saved my teeth and gums. They are personable and friendly. They take the time to know something about you as a person, not just your teeth and gums. One stop office for all my dental needs. Extremely pleased with the friendly interaction with the staff at Lighthouse. I brought my children to the office Last week and had a great experience! Between the front office staff and everyone in back was extremely nice and very helpful. Maggie was very gentle with my kids and their cleanings. Would recommend this office to anyone. Lighthouse Dental Care is an outstanding professional office. It is a place where you always feel welcome, the front counter associates acknowledge as you walk into the waiting room. My family has been using Light House Dental and Dr. Samuel for over 30 years!! All ll the hygienists are great, and they love their job! Very good ! Maggie is awesome ! Gina makes the whole day better! I’ve been coming to Lighthouse Dental for years, they are always so kind and helpful. Great place. I’ve been going to Lighthouse Dental since I was a kid and they’ve always been great. Everyone is friendly and good at their jobs. Julie the dental hygienist is amazing! She was so thorough and explained everything she was doing as she did it! I had dental surgery two months ago so I was nervous. It she was awesome! Very mindful of when something was sensitive and made my teeth feel and look soooo great! She is awesome! I’ve been a patient here for years and have always had a good experience. Lighthouse dental provide great service and care. Gina and Diane, they are fantastic! Help you as they can! Thank you so much, Mike! My family and I Ihave been coming to Lighthouse for years. great place to bring your teeth ! I’ve been going here since I was a child and I wouldn’t go anywhere else! The staff is great and my mouth is always taken good care of! Lighthouse Dental is the best! They have the friendliest staff!! What a wonderful place to get your teeth taken care of!! The ladies at the front desk are lovely as well as the dental hygienists. Would 100% recommend Lighthouse Dental!! Everyone here is incredibly nice! My teeth always feel so clean when I leave here. Would definitely recommend- this place makes the dentist a great experience!! I have been a patient at lighthouse for at least 10 years and Dr. Samuels is a very good and skilled dentist and have recommended him to many friends and co workers. Thank you to Dr. Samuels and his staff! The staff and services are outstanding. Been seeing dr. Joy for years and she’s awesome! Magie is terrific, she goes the extra mile to make sure I’m comfortable and always does a great cleaning & truly cares! The front office staff always is kind & courteous. Lighthouse Dental is the best!! I’ve been going here over 30 years. Dr. Samuels is knowledgeable, kind and sensitive to my needs. He is always up on the latest dental technology. Maggie my hygienist is super!! My teeth always feel fabulous when I leave and she always reminds me how to brush and floss properly. I can’t imagine going anywhere else for my dental needs. The staff is wonderful and thorough…very gentle and kind! Great sense of humor and truly care about your well being. I’m 52 and have moved a lot in my life so I’ve had many dentists. Dr. Joy Cochiella is the absolute best I have ever come across – along with all the other support crew! Julie is my hygienist, and she’s awesome! Great experience!! Love all the doctors, nurses and staff! the ladies at the desk are the sweetest! they are super accommodating and know how to make you feel at home. even when they’re busy, they do their hardest. No staff has ever treated me better. Dr. Joy Kurzner and Maggie exceed my expectations at every visit, from their knowledge to their genuine interest in my well-being, in dentistry and my daily life. The facility besides is spotless, and never had I before heard of or thought to use sunglasses during procedures, nor that I might select a TV channel to watch meanwhile. I’ve been under Dr. Joy’s care for years. I wouldn’t go anywhere else. I’ve even followed her to her new practice site which is farther from my house. Best. Care. Ever. Love all the staff and docs, very personable and professional. Been a patient for 20+ years! Maggie is the greatest.. Always takes really great care of me.. Not to mention I really like and appreciate all the folks at LightHouse Dental.. Gina you rock too..
Have been seeing Dr. Joy for several years. Always happy with the service. Just had some fillings done. Didn’t feel a thing! Staff is great. Very fast and efficient! I had a great experience with Lighthouse and I always do. Julie was very nice and very imformal. She is one of the best. Thank you! Light house dental care is awesome. Dr Samuels is very thorough great dentist !! Thanks Maggie, awesome as usual. Excellent Dentist! Dr. Samuels is the best! Been a patient for 8 years. My hygienist Leona is amazing. The staff are great and so welcoming. I would recommend this office to all my friends and family. Light House dental is the absolute best! Very warm and patient great experience overall! Highly recommended! Leona my hygienist is the best! Maggie and Dr. Samuels are awesome! They are both very proffessional, thorough, and friendly. I would recommend them to everyone. Love the office staff . Excellent people!! Outstanding service…..I had dental work done their 7 years ago and whenever I have an issue they immediately take you in and fix it…Dr Samuels is a very distinguished expert in the field of dentistry I could not recommend Lighthouse Dental more… They are simply the bes!t!!! Been going to Maggie for years! Love her. Very friendly and pleasant environment. Lovely and professional!!!!! I’ve been seeing Dr. kurzner since I was a child. Julie was my hygienist. Both are great!! superb as always .Maggie really does love her work. Really like this dentist practice! Very friendly staff from the front desk to the hygiensts. Dr. kurzner is awesome! Friendly, takes her time to explain everything. Very caring! Everything was great, fun nice people and great care! Great dentists and hygienists! Highly recommend. Great experience, every time! They are very accommodating, with early and late hours available! I have been visiting Lighthouse dental for over thirty years now and Dr Samuels is one of the best. His staff is top notch in the field of dentistry. My wife and I normally visit at least two times per year to maintain total health. Highly recommended. I saw Maggie today and my experience is beautiful as always. I definitely recommend Lighthouse Dental for anyone. TRULY AMAZING! My whole life I struggled with the insecurity of my smile. It was really bad. I was absolutely shocked at how fast my teeth started moving. Dr. Samuels, Shannon and the whole staff are miracle workers. They are very friendly and make you feel at home. If I could give them 10 stars I would. Maggie is the best, she been working on my teeth for the last 4 years. She make sure your comfortable, and you leave with your teeth feeling good and clean. Another excellent experience at Lighthouse Dental. I had my bi-yearly cleaning with Maggie this time. She was very pleasant , answered all my questions and made me relax thru the procedure. Everyone is very kind and friendly, from the minute you walk in the door until your visit is done. This says a lot(about the owners/Dentists and the entire staff) , and I appreciate that. Excellent experience every time I go in for an appointment. Great staff! Very nice visit with Maggie. All needs addressed and teeth are shiny and sparkly!!! Dr. Harmon and Julie are the BEST! Professionals to the highest level. Very caring and compassionate. Everyone here is fantastic! The friendliest staff on earth. And Dr. Samuels is very informative and helpful. The service here is great and they make you feel very comfortable while working with your schedule. I would highly recommend lighthouse dental to anyone looking for great service and professional care! Great environment, with friendly service from a professional staff. Maggie always does an amazing job! She is so thorough and accommodating. Great experience all the time @Lighthouse Dental. I had a cleaning this morning with Irena. Very warm and professional. I have been a patient for over 10 years. The staff is awesome and the hygienists are amazing. They’ve seen me go through marriage and pregnancy. So they’re like a part of the family. Lighthouse Thanks for helping me maintain a beautiful smile. Maggie and crew are great! My experience at Lighthouse Dental was (as always) excellent! Dr. Kurzner and Maggie are awesome! It’s always a pleasure having them make my teeth bright and shiny! Dr. Kurzner is awesome , I have been going to her for years , never any discomfort at all and quick appointments!! Highly recommend! Irena always performs excellent workmanship/cleaning on my teeth. She wants the client to walk away with a smile which she has high expectation of self conscientiousness. It is inspiring to look in the mirror and know a manicure effort was performed. I guess I will have to wait for my next appointment. Too bad she does an excellent job now I have to wait longer until my next appointment. Hygienist was awesome, down to earth while wholly professional. Scheduled my next appointment with her again because she’s great. The best staff and approach to the patient. Will not go anywhere else for any dental work and highly recommend to anyone, especially anyone with bad past dental experience. I have been a patient for over 10yrs, and I love it. Wouldn’t go anywhere else. They are professional, gentle and accommodating. Never a wait, highly recommend. Staff is always a pleasant.Office very clean. I had my teeth cleaned the other day and walked out feeling great. Sue the hygienist did a great job and the front desk staff were very helpful especially Gina. Everyone is so wonderful in this office !! I would recommend them to everyone. Great experience and my teeth look and feel great ! Friendly staff and very clean place! Julie is a delight, it’s actually fun to come get my teeth cleaned! She always does an excellent job and works harder because I’m a smoker. I wouldn’t go anywhere else. The office staff are helpful and professional and I appreciate so much how they’ve worked with me financially. The dental technician was excellent. It was a great experience. Leona took care of me and she’s great. Answered every question and made me comfortable. Definitely would recommend anyone. Always a good experience with Irena. Julie takes such good care of me during my visits. She treats her patients like family which is why I have stayed with Lighthouse Dental for over 20 years. These girls are the best!! Friendly and caring!! Highly recommend Lighthouse!!! Have been going to Lighthouse for 10 years and love the team there. Maggie is a great hygienist with a gentle touch! I have been going to Dr. Samuel’s office for several decades. I have never had a bad experience with him or his staff. I would highly recommend anyone looking for a dentist to go to him. As always- another great visit! Thanks Maggie & Staff! As always it is a pleasure to spend time with my love Irena. She’s an angel. She also cleans my teeth to perfection. I LOVE getting my teeth cleaned by her. Can never say enough how lucky you are to have her and your staff in general. Everyone is friendly and nice as can be. I absolutely love lighthouse dental everyone is so friendly and helpful! Maggie is my favorite hygienist, she does a fabulous job cleaning my teeth! Doctor Samuels is the best dentist in the world! I was his 7th new patient when he started to practice with his dad and now my whole family goes to him!!! Keep up the great work!!!! Love this dental office, and their staff. They are so friendly, kind, and professional. I reccomnend them to anyone! Julie is always a pleasure to see! I especially like how well they take care of my teeth and how reasonable they are on what procedures I need. My last dentist was always trying to sell me on a pricey procedure. Lighthouse Dental Care let’s you know if something is necessary and are realistic. Everyone was polite, and professional from the start. The staff seems happy which is a good sign. As usual, the staff is outstanding!! My visit today was for a cleaning, and I thoroughly enjoy the time I get to spend with Irena, and the job she does cleaning my teeth! She is extremely personable, and does an outstanding job. She is a credit to her profession, and the the Lighthouse staff!! It is always a pleasure to see Mark, especially when no additional work is required!! Dr. Samuels is wonderful! He has great bedside manner and takes his time with you. The assistants and hygienists are all great and do a phenomenal job. The office is clean and comfortable! Maggie is a very thorough, gentle and caring hygienist. The staff at Lighthouse Dental is very professional and friendly. They are amazing !! !have been with Dr.Samuels for 5 years.highly recommend. I always feel like I get the best care at Lighthouse Dental. Dr Sammuels is concerned about my comfort as well as my tooth health. Dr Joy was patient and caring with my treatment. Everyone was kind and professional and cared about my needs. I have been a patient of Lighthouse Dental Care since I was 13 years old; over 20 years. I now have my own family and they are patients as well. Patient care is outstanding. Appointments are always on schedule, and follow up reminders are always given. My hygienist, Maggie, is Awesome and Amazing!! Lighthouse Dental Care is the Best in CT! Welcome to Lighthouse Dental Care. Proudly Providing Full-Service, Quality, and Affordable Family Dentistry. If you are looking for a friendly and welcoming dental practice in Stratford, CT, you have come to the right place! Lighthouse Dental Care is a high-tech and advanced dental office with a family feel. At our office, we believe in providing our patients with the best possible care they can receive in a safe and understanding environment. Led by Dr. Mark Samuels, our team is ready to assist you and provide the dental help you need to feel and look great. Oral health is important and the advancements in technology have made getting that perfect smile all the more attainable. At Lighthouse Dental Care, we are well-versed in all of the latest approaches in modern general and cosmetic dentistry. From basic cleanings to teeth straightening aids to whitening procedures, our dental team is educated in all of the latest dental treatment trends on the market. For example, we offer consultations and applications of Lumineers, are a certified provider of Six Month Smiles, and have Philips Zoom! Whitening treatments. We can provide you with restorative and emergency dental treatments as well. Call us today at (203) 742-1027 to make an appointment for preventive, restorative, and cosmetic dental care. We look forward to showing you why people from Bridgeport, Trumbull, Milford, Shelton, Fairfield, Orange and other communities choose our experienced dentists in Stratford for their family’s dental care. 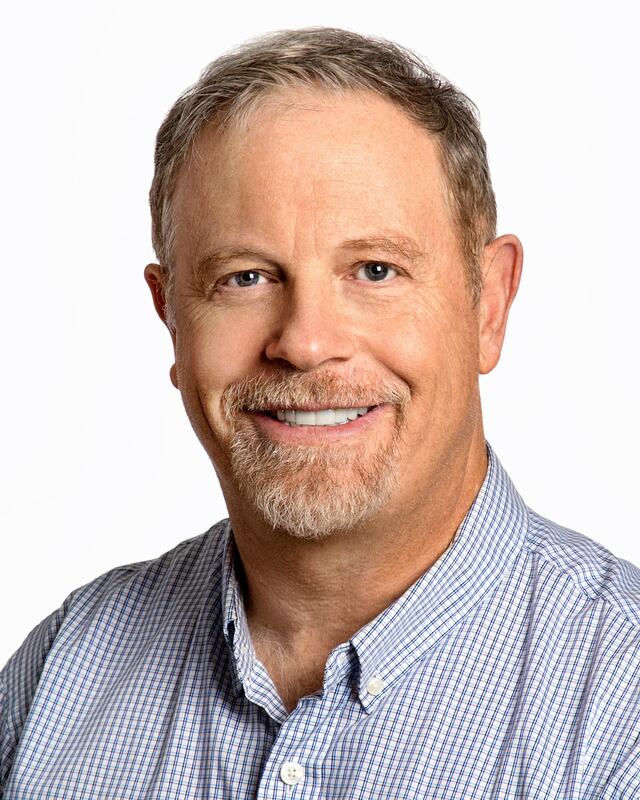 Dr. Samuels is a 1985 graduate of the University of Pennsylvania School of Dental Medicine and has dedicated his professional career to providing you with the best that dentistry has to offer. Dr. Joy Cocchiola graduated from the University of Connecticut School of Dental Medicine and had a private practice for 25 years before joining Lighthouse Dental. 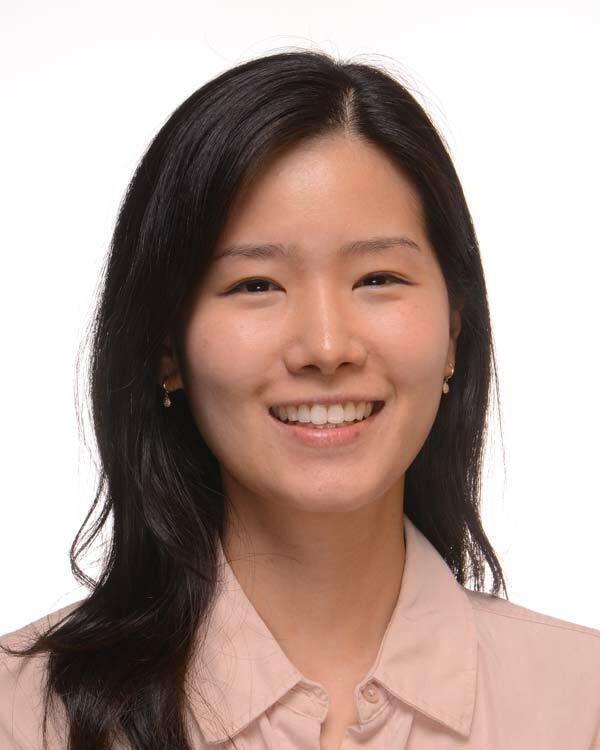 Dr. Jimin Oh enjoys practicing all aspects of general and family dentistry, providing a wide variety of cosmetic, preventive, and restorative services. Dr. Samuels discusses Lighthouse Dental’s history and mission. We make every effort to keep down the cost of your care. We accept most types of dental insurance, plus have special offers for patients without insurance. 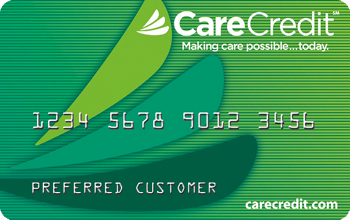 We also accept CareCredit. Are you missing a tooth or several teeth? Dental implants are a long-lasting solution that look and function just like natural teeth. Discover how you can eat, sing, and smile again with confidence. Invisalign corrects crooked teeth without the need for braces. Discover how we can make your teeth straight and beautiful by using clear aligners that are comfortable and removable. Do you snore? That can be a sign of sleep apnea, a common condition that affects 25 million Americans. Sleep apnea interrupts oxygen flow and can lead to a number of health problems. © 2019 Lighthouse Dental Care.